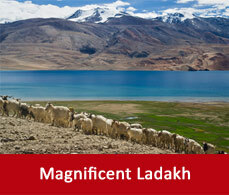 This beauty has been opened by the Ladakh tourism to the tourists a few years ago. It is a separate province in Jammu and Kashmir and shares a different topography. After Ladakh got explored to the travellers, large number of foreign tourists and young travellers come to explore this place and get lost in its beauty.Its beauty is not like the one which can be experienced in Srinagar. It is a barren beauty with beautiful landscape. 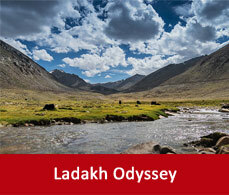 The high rising mountains surrounds this Ladakh desert which gets painted by the hues of the nature. 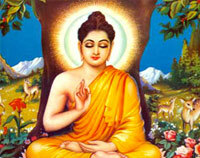 Buddhists dominate this region and you will find ample of Buddhist monasteries there. 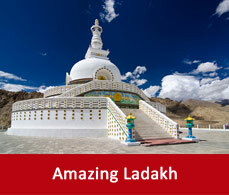 You will find the monasteries starting from Leh to Ladakh. Amidst the snowy elevation of the mountains lies this region which has the most low density population in the world. Ladakh is also summoned by the name "Moonland" because as you drive up and down on this dry arid, sun-bathed and windy region for reaching Ladakh you will get a feel of driving on a lunar surface. The people of Ladakh are strict followers of Buddhism and they follow the Mahayana form of Buddhism. There are mainly four groups of people. The Mons who inherits from the Aryans are the public entertainers and musicians. Many of the Dards along the Indus valley have converted to Islam while still some remained Buddhists. In the western and the eastern Ladakh the bulk of population there is Tibetan. The Ladakhis are very hardy and are always cheerful and hospitable. 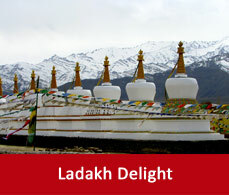 The festivals of Ladakh mainly takes place during the winter time. Locals gather up and organize stalls gompas. In the `countryside they also organize dance, food stalls, dance drama etc. 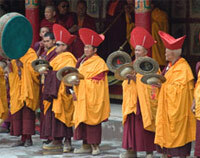 The highest peak is accompanied by the monks who play drums, cymbals and trumpets.